YNX Co-Sponsors ConneK 9 – Yannix(Thailand)Co.,Ltd. ConneK is an annual event organized by Computer Engineering students from Chulalongkorn University (CU) and Kasetsart University (KU). 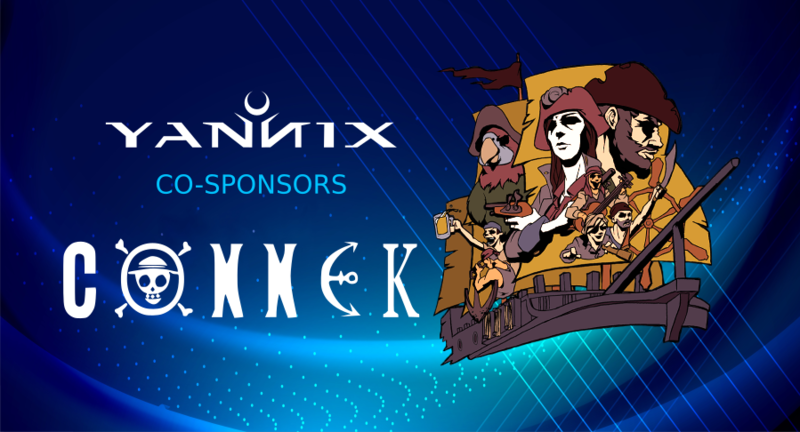 Yannix (Thailand) Co. Ltd., and Playtorium Solutions Co. Ltd., will co-sponsor this year’s ninth installment of ConneK to be held on April 7, 2019, in the Larn Gear Courtyard at Chulalongkorn University. ConneK (which stands for Connections of CU and KU Computer Engineering Students), affords the students from both universities an opportunity to get to know one another through interactive activities and friendly athletic competition. The first ConneK event debuted in 2010 and was hosted by CU. In turn, KonneC 2 was hosted the following year by KU. Since the event’s inception, the two universities have alternated as hosts every year. This year’s event, ConneK 9, is expected to draw an audience of approximately 250 students between CU and KU. Yannix encourages everyone in attendance to visit our recruitment booth and meet Yannix’ University Relations Officers, Pajaree “Mint” Sungvianwong and Korlapat “Tarn” Kulkasem. We look forward to seeing everyone on Sunday, April 7.